Credit card delinquency continues to decrease as default on mortgages increases. According to a study by Transunion, a credit management company, consumers continue to pay their credit cards before paying their mortgages, a trend which has continued for three straight years. Prior to the economic crisis of 2007, and the ongoing “credit crunch”, consumers predominately chose to stay current on their mortgages before paying other debt and credit obligations. In the “payment hierarchy” mortgages always came before credit cards. But the sagging housing market changed that hierarchy. Borrowers are making a conscious decision to pay credit card bills while allowing mortgage payments to go delinquent. The trend started just months after the Great Recession of 2007 according to the Transunion study. Many consumers have an underwater mortgage, owing more money on their home than it is actually worth and making a mortgage payment is not the priority it once was. Additionally, with credit card issuers tightening credit standards and limiting lines of credit, consumers were pressured to stay current on credit card payments. 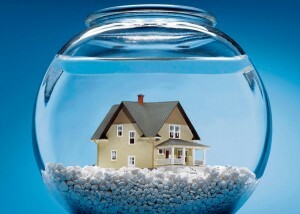 In the 4th quarter of 2010, 23% of all U.S. homeowners had an underwater mortgage since the start of the recession according to CoreLogic, a business information provider. Transunion found in that same quarter, 7.24% of consumers who were delinquent on their mortgages were current on their credit cards. The 7.24% number is a drop from the 3rd quarter number of 7.40% but remains “72% higher than it was at the beginning of the Great Recession,” notes Sean Reardon, a Transunion consultant and author of the study. It is more than twice the percentage of consumers who are current on their mortgages but delinquent on the credit cards. The Transunion report also noted only 3.03% of consumers fell behind on credit card payment in order to make mortgage payments in the 4th quarter of 2010. The report compared consumers who were 30+ days delinquent on their mortgages but current on credit card payments; consumers who were current on their mortgage but 30+ days delinquent on credit card; and consumers who were 30+ days delinquent on both mortgage and credit card payments. Economists are surprised by how long the trend to pay credit cards before mortgage payments has lasted. They expected as the economy and employment rates slowly recovered and home prices stabilized, fewer consumers would walk away from their mortgage. Instead of reverting back to the traditional hierarchy of mortgage payment before credit card payment, the current reverse trend ensues. “To the contrary, this study found that the hierarchy reversal has become even more widespread,” according to the report by Transunion. While a poll by Zogby International cited by Transunion, found that 79% of adults said if they could pay just one bill a month, it would be their mortgage, the current payment hierarchy does not bear out the intentions of mortgage payment first. Among the consumers who defaulted in the 4th quarter of 2010, 52% defaulted on their mortgages while keeping their credit cards current and 22 % defaulted on credit cards while keeping their mortgages current.